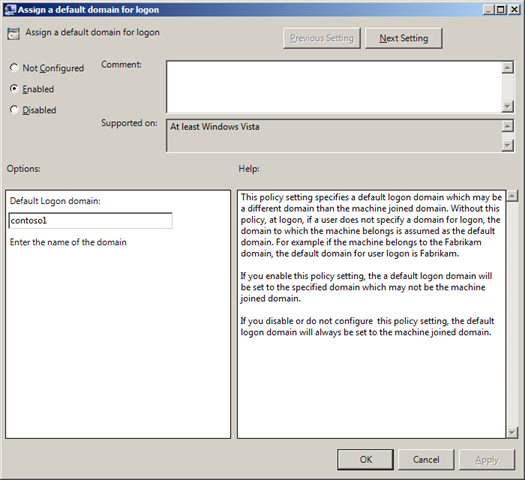 This weeks setting is a native policy for Windows Vista (or greater) called “Assign a default domain for logon”. 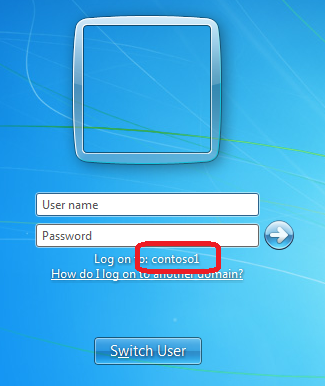 As the name suggest it configured the default domain name when a user logs on to the computer. 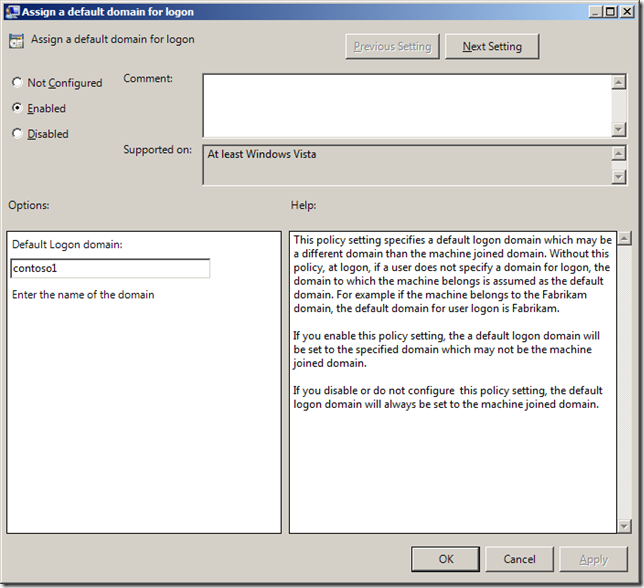 This is very handy in a multi domain environment or if you want to make sure that your newly built computer default to the correct domain when the users logon for the first time. This setting can be found under Computer Configuration > Administrative Templates > System > Logon and it requires requires at least Windows Vista. What is the appropriate registry value for Windows 2008 R2 servers? ?